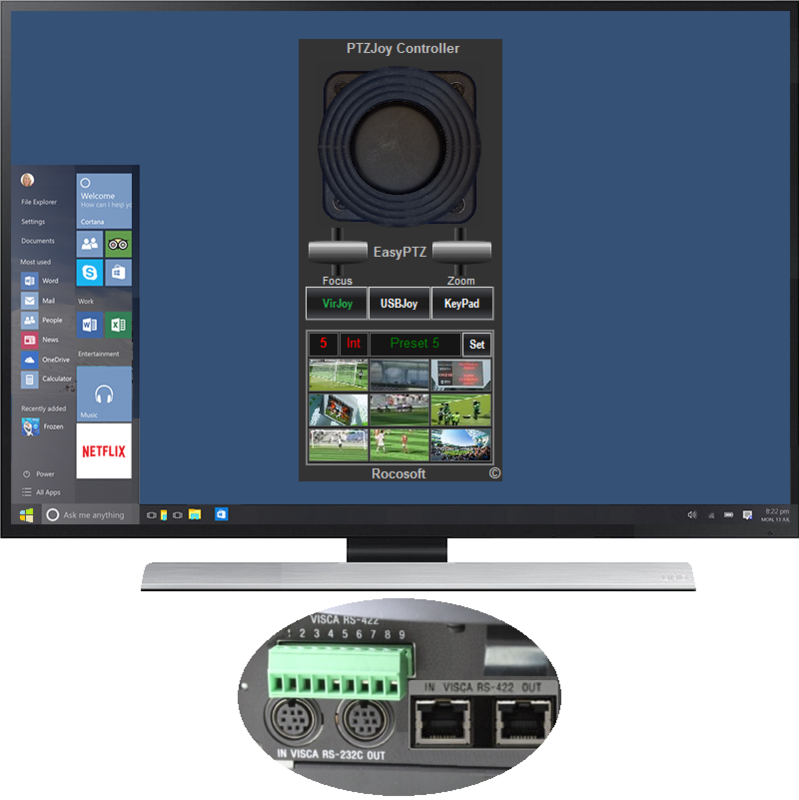 PTZJoy Controller's WebRemote tool allows users to have access to their cameras remotely from the web browser of any mobile device over any LAN, Wi-Fi, and WAN IP network. Use it as a far-end controller to switch between cameras, control pan, tilt, zoom, and focus, and call on presets. There is no limit on the quantity of simultaneous connections to our PTZ Web Server. It means that cameras can be controlled simultaneously from as many devices as needed. It's extremely useful when controlling IP cameras that are connected to an internal LAN network. PTZJoy becomes a gateway so the cameras can be controlled over LAN, Wi-Fi, or WAN with no individual IP addresses for each camera needed. They will be just Cam1, Cam2, Cam3, etc. on the controlling device. Turn ON Web Control access on the Main PTZJoy Controller interface. The default port for Web Control is 80 and the current IP Address and access information of the Main Controller can be found by clicking on the Settings button. The Port 80 is reserved by default in Skype, but Skype does not use this port. It is recommended to uncheck “Use Port 80 and 443 for additional incoming connections” field by opening Tools- Options- Advanced- Connection in Skype. Freeing the port 80 for PTZ control will allow distant PTZ camera control using IP address only. (see About) into the URL Bar on your mobile device. 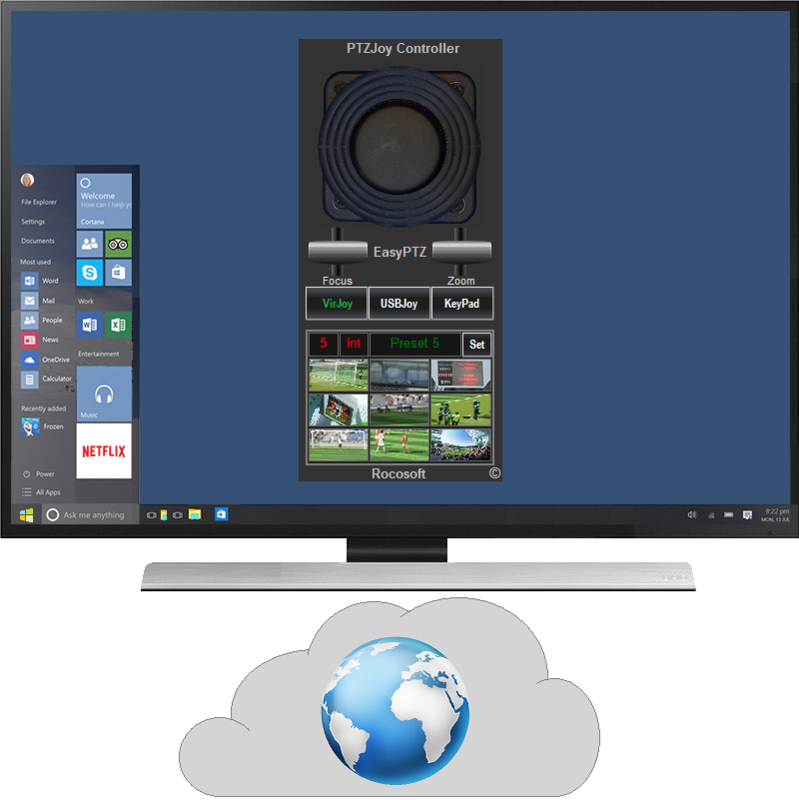 The WebRemote will appear in the web browser of your mobile device and you can now control the PTZ cameras connected to the Main Controller. The WebRemote will appear full size in your web-browser – if you are using a computer, you can resize the WebRemote to a more convenient-to-use size by simply changing the zoom settings in the browser. The Camera Status Display will show relevant information such as which camera is being controlled, which port is selected, and the pan, tilt, and zoom speed. *Control cameras using the WebRemote from a device outside of your local area network by configuring your router and opening ports to accept outside signals. Once your router is configured, you can open a web browser on any device and type in the IP Address of the Main Controller and control your camera.